Duh. Were you expecting anyone else? Kanye West is the man that made the rottweiler tee more famous than Ricardo Tisci could. Besides teaching hip-hop about relevant luxury brands, Yeezy&apos;s been hard at work: putting out quite possibly the most anticipated album of the year, designing a womenswear collection for Paris Fashion Week, and then going on one of the most-hyped tours of 2011. 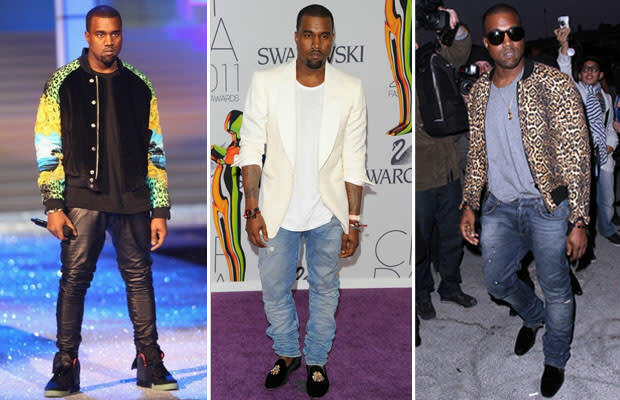 Granted, the man spends most of his time performing in a leather skirt, but Yeezy knows how to keep his street cred in check: he stays rocking a fresh pair of Jordans with Balmain jeans, Givenchy bombers, and all sorts of luxury gear. We don&apos;t need to watch the throne, all eyes stay on the man sitting on it.